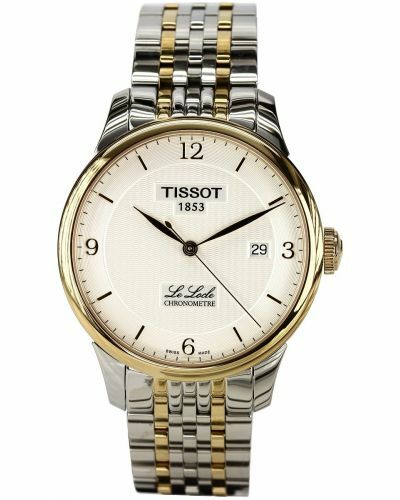 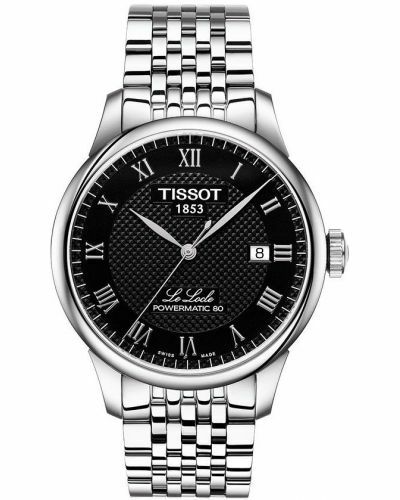 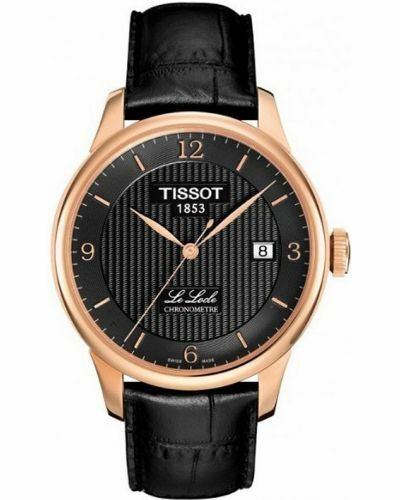 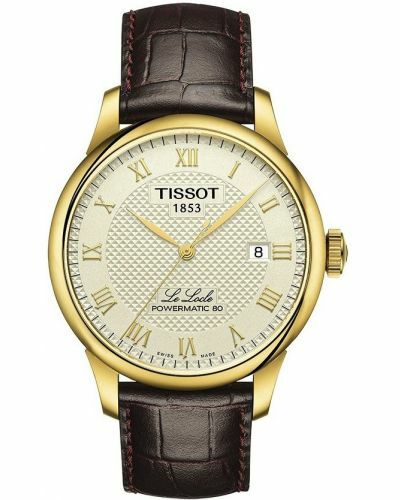 This striking men's watch is brought to you by world renowned Swiss watchmakers Tissot as part of their Le Locle Powermatic80 collection. 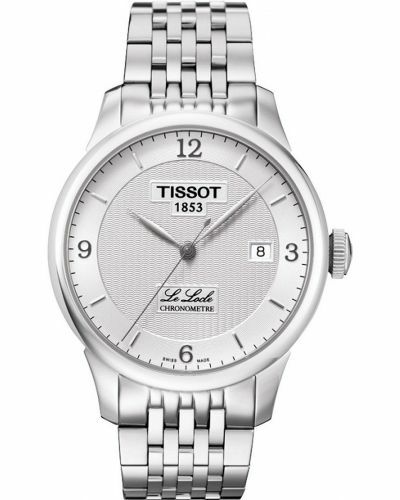 Featuring a sophisticated polished round stainless steel 39.3mm case and polished bezel; this alluring watch presents with a silver dial and date display window. 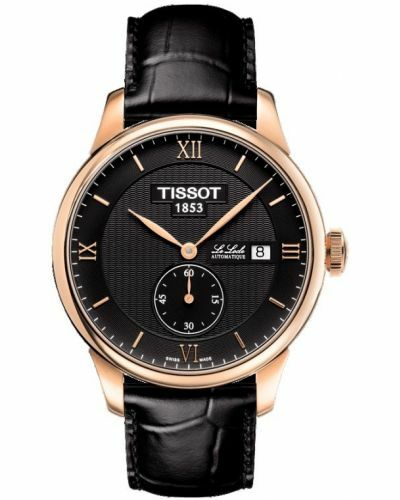 Black Roman Numerals adorn the dial and are complimented by the black leaf hands. 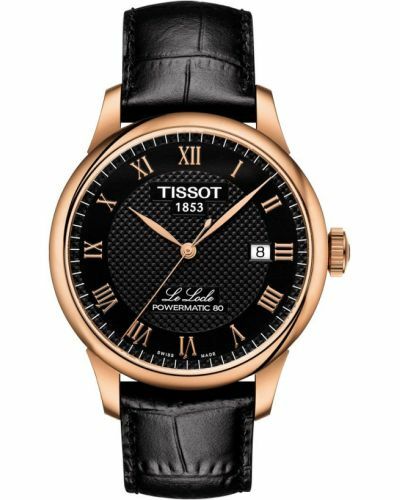 Set upon a suave link bracelet and fastened by a secure butterfly closure with push button release; the Le Locle automatic is both stylish and practical. 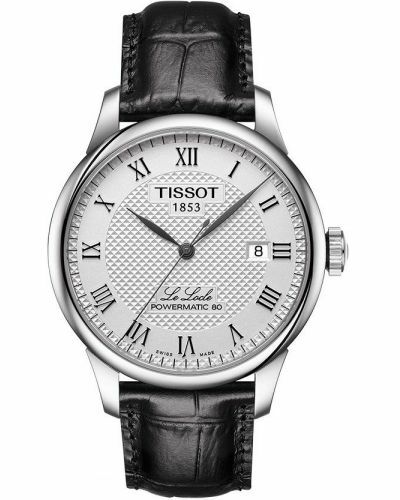 Powered by a 23 Jewel automatic movement crafted entirely in Switzerland; the Le Locle automatic has a power reserve of 80 hours once fully wound. 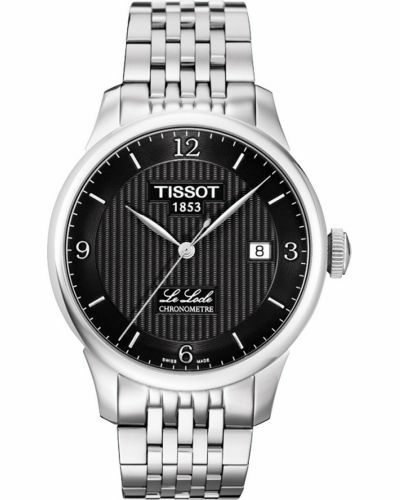 Protected by scratch resistant sapphire glass; this stunning watch is water resistant up to 30 meters. 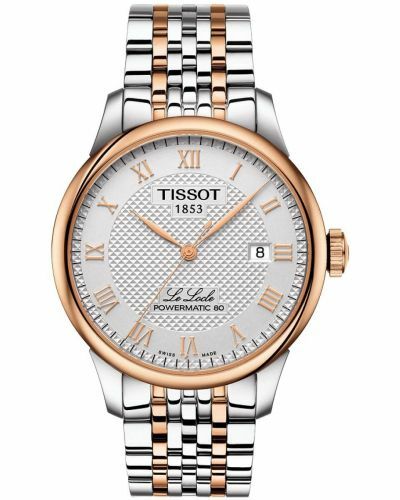 This stunning watch features a sapphire crystal case back which allows the complex mechanism to be observed by the wearer. 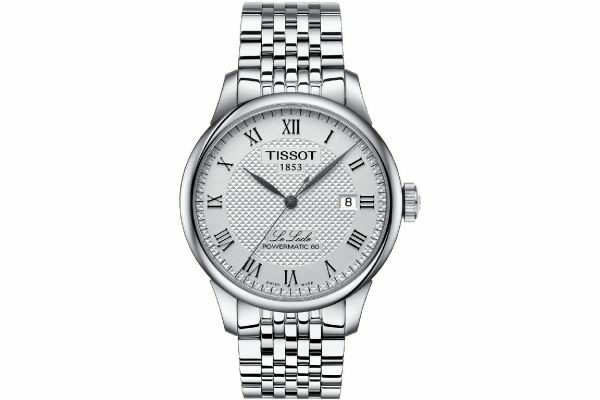 Complete with a two year international guarantee.